Cape Town, South Africa enjoys an enviable reputation as one of the most beautiful cities in the world. With an abundance of Victorian architecture, and wonderful scenery this is a city that offers attractions that will appeal to families, the young at heart, as well as those who want to enjoy a superior holiday experience characterized by exceptional dining opportunities. The city also offers fabulous value and a summertime climate that is strongly reminiscent of the best that the Mediterranean has to offer. However, one of the highlights of any visit to Cape Town during the summer (a sun drenched Christmas in the city is highly recommended) is the simply world class beaches that are available. Those lucky enough to pack their swimming trunks are offered two oceans to choose from. 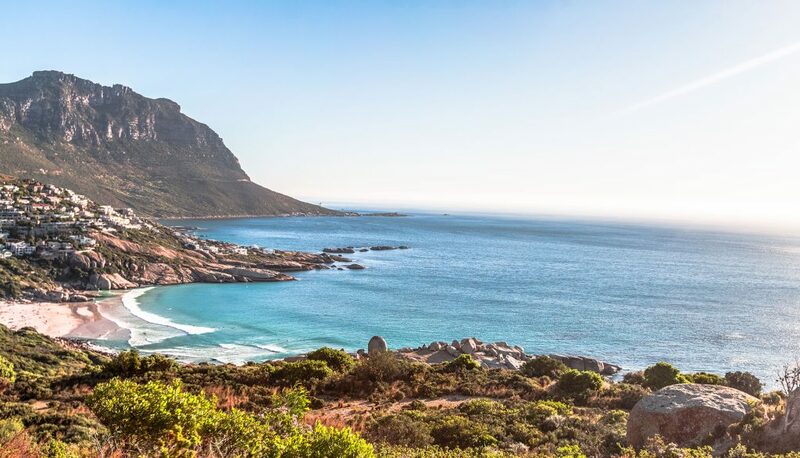 The Atlantic seaboard of Cape Town provides some of the most stunning beaches in the world. Pristine powdery white sand and a sparkling ocean make any trip to the easily accessible beaches a pleasure. However, beware, as inviting as the Atlantic Ocean is – it’s bitterly cold. On the other side of the Cape Peninsula are fabulous beaches that are lapped by the warm waters of the Indian Ocean. Here the visitor will find miles of unspoiled beach to sit back and relax – and warm welcoming waters that make this the ideal coast for families in search of sun and sea. So what are your best choices when in search of a great Cape Town Beach Experience? #1 Any Of Clifton’s Beaches. Situated on the incredibly picturesque Atlantic Seaboard are a string of four interconnected beaches that together make up the Clifton experience. Each of the beaches (1st to 4th beach) has unique personality. Families are attracted to 1st beach, 2nd Beach is the hangout for the beautiful people of the city, 3rd Beach is the focus of Cape Town’s gay community and 4th beach is where teenagers tend to congregate (as well as the haunt of those who want a great place for a Frisbee throwing dog destination). This beach is one of the most perfect places to watch the sun settle into the Atlantic Ocean. It’s also just across the road from some of Cape Town’s best restaurants. It’s easy access form the road, although you might be in for a walk in peak season as parking on the beachfront is limited. A block away there’ll be more choice. If you want to head out a bit further towards Cape Point Llandudno Beach is perfect for taking in the rays and watching some of Cape Town’s best surfers do their thing. It’s also lees crowded than the Camps Bay and especially Clifton hot spots. Head across the Peninsula and towards the warm Indian Ocean and you should definitely put side a day to enjoy the laid back atmosphere of Muizenberg Beach. this is a great family destination. The waves are gentle (it’s great place to learn to surf) and the sandcastle building possibilities are endless. The beach stretches form miles and walk to take in the fresh sea air is highly recommended. There are also numerous opportunities to enjoy snacks from a wide variety of retail outlets. Great Whites patrol the waters of False Bay, but there are shark spotters on duty throughout the holiday season. 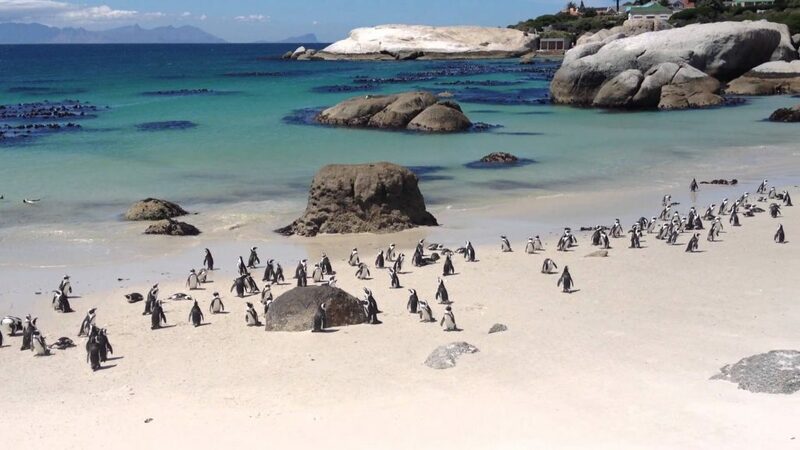 Around 10 minutes form Muizenberg heading towards Cape Point is Boulders Beach where visitors can enjoy a secluded beach experience, complete with a colony of amusing Jackass Penguins. Get to Cape Town and enjoy a summer of fun in the sun and some of the best beaches in the world – you owe it to yourself and the family.